Well, in order to make the same statement, I bought some weird and disgustingly flavored food/drink items recently and I’m going to try them right here, right now. If I die, remember me well. Item #1 – Dr. Brown’s Cel-Ray soda – This stuff has been around for years. It’s almost legendary. I used to see it as a kid at the local deli (shoutout: Diplomat Deli) when my dad took us there for dinner. I say now what I said then, “Celery flavored soda?! Who’d buy that? !” The jury is still out on who would actually buy it. The next question is, “Does it taste like celery?” The answer: Yes it does, if said celery was left out on the counter in a warm glass of Sprite until it rotted away leaving only a dark, foul-smelling death-liquid. I’ve only had 3 or 4 drinks of this and I already have a headache. I hope I don’t get leukemia. Ugh. 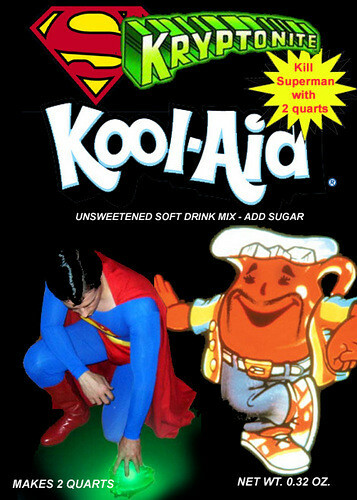 This also comes in a diet version, but, thankfully, for the sake of the children, Dr. Brown discontinued it. If you have trouble finding this, consider yourself lucky. Item #2 – Canfield’s Diet Chocolate Fudge – Yes, you read that correctly, Chocolate Fudge soda. 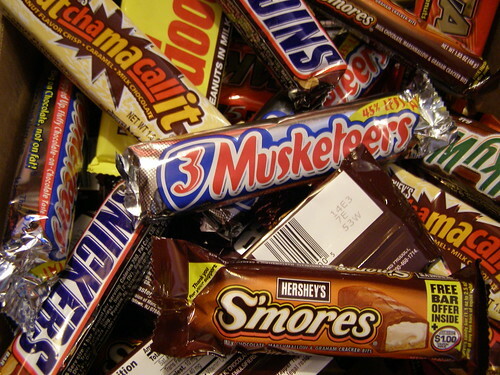 DIET. Haha. I’m really asking for it this time. Here we gooooo………..oh sweet jesus that is awful. I can’t imagine a chocolate fudge soda tasting good in the first place, but make it diet, and you’ve just created what scientists refer to as a “biological weapon of destruction”. My insides are now under attack by this BWD. Holy crap, I think the soda is trying to burn its way out of my stomach like an Alien. Foul, foul liquid. I actually saw a Diet CHERRY Chocolate soda at the store the other day. After this, I’ll be afraid to even walk down that aisle ever again. This soda now owns me. 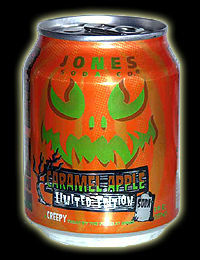 Item #3 – Jones Caramel Apple soda – Jones really made this whole trend popular so I had to try one. This was one of their Halloween sodas from 2 years ago. The cans are cool, and this flavor at least has potential………potential to taste like sun tan lotion mixed with burnt maple syrup. Oh. My. God. That is awful. And do I detect an aftertaste of scalded rubber? My taste buds are going to revolt and suicide bomb my brain for continuing this torture. I can’t even articulate the supreme awfulness of this soda. Stay away. The time is nigh, my friends, the Academy Awards are here. Well, almost here. They’ll officially be here on Sunday at 8pm EST. I. Can’t. Wait. The wife and I, being rabid, movie whores, are throwing a huge (read “small”) shindig to celebrate the occasion. No expense will be spared. Our guests will drink out of the finest gold color paper cups and eat off the most delicate black and gold paper plates that Wal-Mart can provide. We’ll dine on the most succulent tiny quiches and taquitos a microwave oven can cook. Extravagant doesn’t even begin to describe it. Our guests will feel like Gary Coleman at the Soul Train Awards. ROYALTY. At the party, we pass out ballots and you have to choose who you think is going to win each category. Points are weighted towards the major Awards like Best Picture and Best Actor. It makes things fun when you start wagering on categories. Before we started the ballots, we’d be falling asleep by the time Best Documentary Short was presented. Now, the group is arguing whether No Time For Nuts or The Little Matchgirl is gonna win Best Short Film (Animated). And NONE of us have seen either one. AWESOME. Anywho, while surfing through some move websites preparing for this weekend’s festivities, I came across a treasure trove of Oscar trivia that I thought was pretty cool. Read on, sir, for some unbelievable, face rockin’ tidbits about the Academy Awards and those who win them. # The first Academy Awards ceremony was in 1929 at the Hollywood Roosevelt Hotel and was hosted by Douglas Fairbanks and William deMille. Tickets cost $5 and the attendance was 270 people. # In the beginning, the winners list was sold to the newspapers prior to the ceremony for publication. In 1940, guests could buy the 8pm LA Times edition and read who won each award. This lead to the sealed envelopes system in 1941. # Longest Award Ceremony was the 2001 Academy Awards hosted by Whoopi Goldberg. It lasted 4 hours and 16 minutes but, thanks to Whoopi, felt like 36 hours. # Walt Disney holds the record for having the most Academy Awards: 22 won, and 4 honorary. # Jessica Tandy at age 80 is the oldest person to ever win (for Driving Miss Daisy) an Academy Award. # Tatum O’Neal at age 10 is the youngest person to ever win (for Paper Moon) an Academy Award. # James Dean is the only actor to receive a nomination after death. Dean was killed in a traffic accident in 1955, but was nominated in 1956 for East of Eden and 1957 for Giant. # Only three movies have swept the top 5 awards (Best Picture, Best Director, Best Actor, Best Actress, and Best Screenplay): It Happened One Night, One Flew Over the Cuckoo’s Nest, and The Silence of the Lambs. # Only three Best Picture winners have achieved a ‘clean sweep’ at the Oscars, winning every award for which they were nominated: Gigi (nine nominations and awards), The Last Emperor (nine), and The Lord of the Rings: The Return of the King (eleven). # John Cazale, the man who played Fredo Corleone, holds the distinction of being the only actor whose every film was nominated for best picture (The Godfather, The Conversation, Godfather Part II, Dog Day Afternoon, The Deer Hunter). After his death, Cazale appeared in archive footage in Godfather Part III, which was also nominated for Best Picture. Fredo no longer brings shame to the family. # The film with the most nominations without a best picture nomination: They Shoot Horses, Don’t They with 9 nominations. # Actress Bess Flowers has appeared in the most Best Picture winners: 5. Number I actually saw: 1. Hope you enjoyed the trivia. Have a good week and weekend everyone and we’ll talk on the other side. I hope everyone has a great Valentine’s Day. Just remember that this holiday was artificially created by greeting card companies to bump up sales during the slow early year months. In fact, tell your Valentine that when she asks to go to dinner. Mention how this holiday is the manifestation of the corporations’ greed and you don’t want to buy into the hype or feed that kind of soulless corporate money-lust. It’s just not right. How cool is the picture up top? A good friend of Steph and mine, Kathy, sent it to us. It looks like she actually created it herself in MS Paint. I love it, so I put it up here for everyone to see. Thanks, Kathy. I’m in Training. Glorious, Glorious Training. Take a look at the picture to the left. Was this picture taken in like 1978? What’s with the tri-fold Science Fair display in the back? Or the easel with the paper and permanent marker? Wow, that’s old school. That’s how the people who worked during the Crusades had on-the-job training. Hard to imagine right? I’m used to sitting in stadium seating like you are at the big game. I’m used to Powerpoint presentations that look like they were directed by Michael Bay. I’m used to a table of bagels and muffins in the back with the 30 different kinds of cream cheese (do we really need a pistachio cream cheese? Really?). Things have come a long way since the Golden Days of training. You wouldn’t know this, however, if you sat in on training with me this week. Actually, staring at that picture is more exciting than the class I’m in right now. Watching the grass grow would be more exciting. But, Pax, you say, you are learning new skills, broadening your horizons. Nay, I say, NAY. I am dying a slow death, twitching and spasming like a fish on land. The training class is attempting to teach me about the functional implementation of PeopleSoft General Ledger…….zzzzzzzzzzzzzzzzzzzzzzz……Wha?! Huh?! I’m sorry, I’m sorry. I think I dozed off telling you about it. You see what I mean? Since the instructor is going to continue to talk, let’s take a tour around the classroom. You think I’m exaggerating, but I’m not. How productive can I be listening to that? Answer: Not very. So, here’s a picture of my shoe. I got bored watching and listening to our instructor so I just stared staring at my shoe. Pretty boring, right? This was better than the class. Here’s a grouping of cables sitting on my desk. These cables became good friends of mine while the instructor started talking about transaction codes and how they map to journal entry lines. During that lesson, he actually used the phrase “…service my intraunit…” Look, buddy, I don’t know what you like to do with your intraunit, but keep it out of the classroom. Yikes. Also, whenever an unexpected result happened during one of the instructors “demonstrations”, he says “that’s interesting”. Trust me, dude, it’s not. In fact, it’s anti-interesting. If what you just did and interesting were to ever come in contact, the entire universe would explode. Seriously. It’s one of Newton’s Laws. Look it up. So, that’s what I’ve been doing this week. Thought I’d let you feel my pain. If you have any pity left in your heart, point it my way. I’m losing consciousness quick.